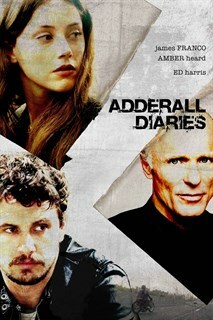 Based on the bestselling memoir by Stephen Elliott, The Adderall Diaries is the story of an author (James Franco) paralyzed by writer's block and an escalating drug dependency who is sucked down the rabbit hole of a high-profile murder case. As Elliott becomes increasingly obsessed with the trial, his own nightmarish childhood memories resurface, particularly of his cruel and distant father (Ed Harris). But when his estranged father returns with his own story to tell, fact and fiction become blurred in an amphetamine-induced haze.